On Wednesday 29th May from 7pm, we will be hosting our Gin Club evening as part of this year’s Fal River Festival! We’ll be joined by the lovely folk from Tarquin’s Gin for the ultimate gin tasting in Cornwall. The team will be telling us about the Tarquin’s distillery based on the north Cornish coast. Meanwhile, try samples of their award-winning products and sink into a G&T, served on arrival. We will also be shaking and stirring two homemade gin cocktails, providing a selection of moreish nibbles, as well as mini fish and chips and a mini dessert for you to tuck into. 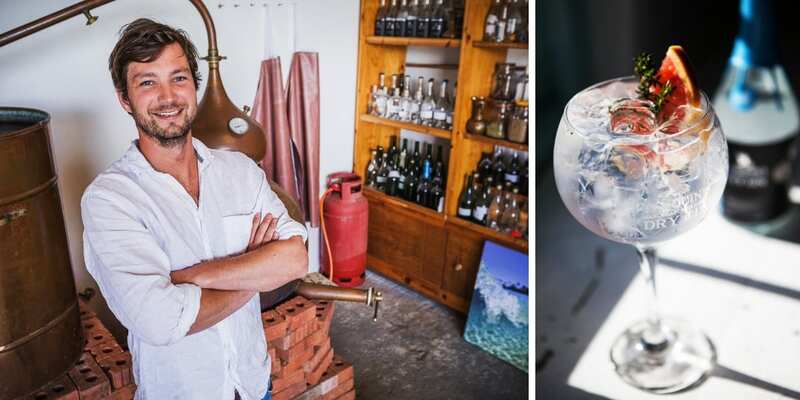 Tarquin’s Gin is an independent, family company handcrafting gin and pastis in small batches (the old-fashioned way). Together with a harmonious balance of precision and flair, they are able to produce spirits that are truly exceptional. A contemporary take on a classic London Dry, Tarquin’s use fragrant hand-picked Devon violets and fresh orange zest. This delivers an aromatic sensation unlike any other. **Due to popular demand, the Gin Club will be held in our Riverbank Suite, which is perfect for an evening like this. With its own private bar and balcony overlooking Falmouth harbour, the Riverbank Suite offers breath-taking views all around. Tickets to our Gin Club are £25 per person (including gin samples, two cocktails, a G&T and nibbles.) Please book by calling 01326 312 440. We hope to see you there!